I am searching for an addon that could filter pets at AH, only displaying pets i don't already have. Do you know one that could do that ? 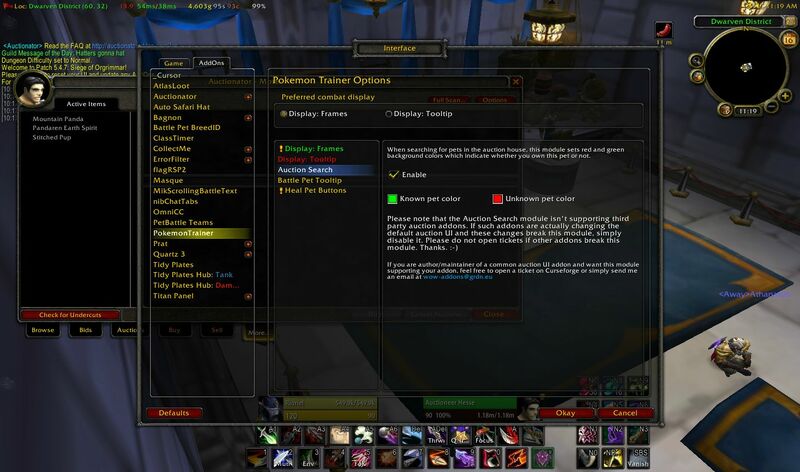 PokemonTrainer PetBattleTeams will do achieve the same goal, though it's an option you have to enable once installed. It highlights pets in green/red that you do/don't own. Last edited by Rioriel on March 16th, 2014, 5:22 am, edited 1 time in total. I already have PetBattleTeams installed but i don't see any kind of option that could do that.